Ranked #1 Bartender Trade School! 25 years Training and Placing Bartenders! 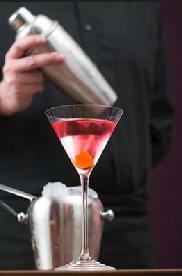 ABC Bartending Classes trains professional bartenders/mixologists to work in virtually any bar in the world. Bartenders are known for making excellent money while working a flexible schedule which allows them to have their days free while having fun and meeting interesting people. Enroll Online or Call Today! Aside from being comfortable talking to people, Bartenders must be familiar with drink recipies, and be knowledgeable about health codes, cleanliness and preparation of supplies. The Southeast are rapidily growing states. 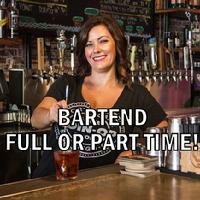 With a population increase of more than 30 percent in the last few years, makes most cities in NC and SC an ideal place to Bartend, and attend Bartending School. According to the Bureau of Labor Statistics, Bartenders Earn $9.84 an hour average plus tips, and expect a growth rate of 13 percent for the next several years. There are an estimated 500,000 jobs in the NC and SC and GA Leisure and Hospitality industry. We also offer JOB PLACEMENT! At Course Completion, ABC assists all Graduates in finding a Bartender Job. There are literally thousands of Bartender Jobs throughout the country. 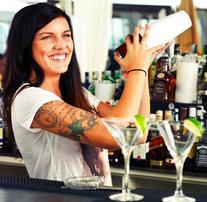 The U.S. Department of Labor estimates the need for a new 100,000 Bartenders through 2016. 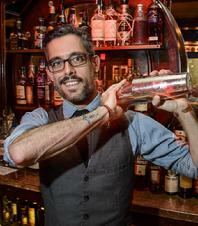 The demand for Certified Bartenders has grown year after year. Bartending is a high paying job, full and part time. Our Graduates work in Restaurants, Hotels, Cruise Ships, Night Clubs, Golf Country Clubs, Sports bars and Parties. Join a Class Today for FUN and PROFIT. 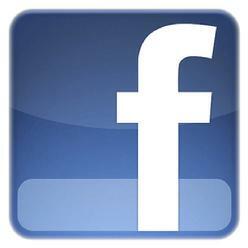 Click the links below for your school location!